Everyone has their challenges in life. We may face different problems every day, and some immediately give up. Well, here’s one story of a father who may not have the best of everything but made the best out of everything. Lao Li worked as a construction worker 41 years ago to be able to provide food at the table. He is the breadwinner, and his pregnant wife heavily depends on his income. Construction sites are often dangerous, and all of its employees are encouraged to be careful at all times to avoid accidents. 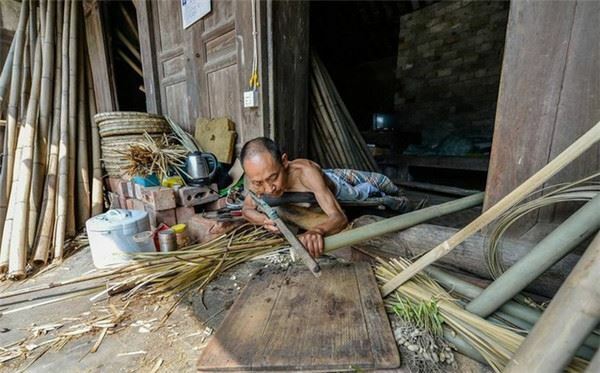 Lao knows how dangerous his work is, but still, he works hard for the sake of his family. Unfortunately, Lao did not expect that an accident will change his life forever. At the site he was working on, a rock struck him. They believe that the rock had come from the mountain beside the construction site they were working on. This ill-fated misfortune caused severe damage to his spinal cord which made him paralyzed from the waist down. It was an awful day as he realized that he could not work again and he still had to provide for his wife and his one-year-old daughter. This did not bode well for his wife and caused her to be distant. She had to work for them to have something to eat and at the same time take care of him and their daughter. 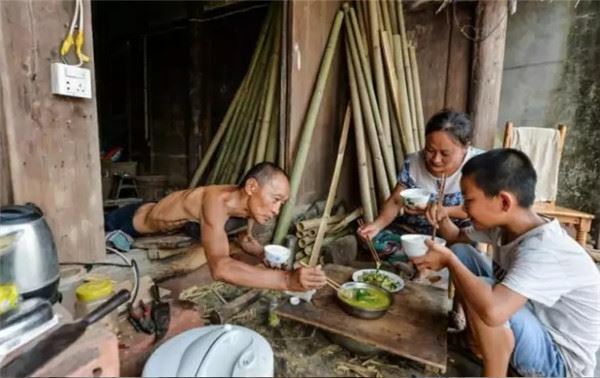 Lao understood his wife’s hardship since everything fell on her shoulders after the accident, so he decided to let her go and gave her the divorce she was waiting for. As it happened, their daughter was only 10-years old, and Lao had the custody of her, so he had to find a way to earn money for them both. His disability may seem like a big challenge, but this did not hinder him from working. 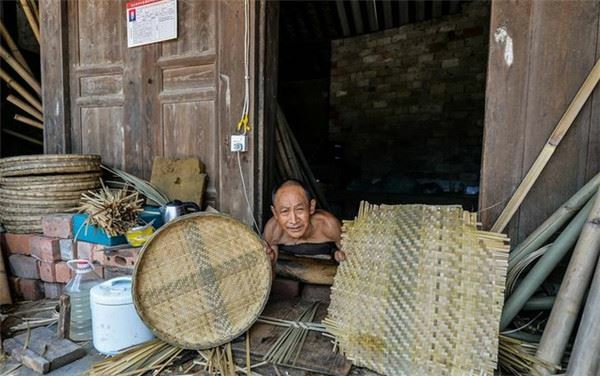 He decided to craft and weave bamboo baskets and sell them to earn money. 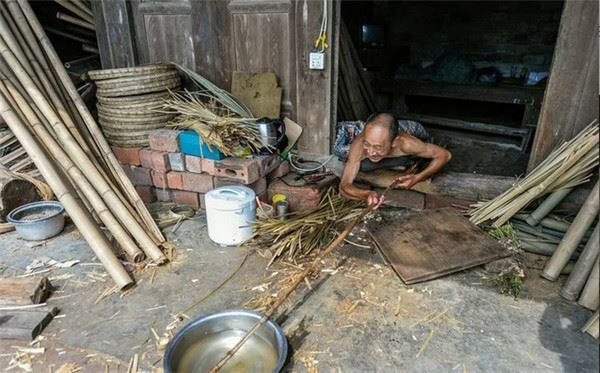 IT is true he has paralyzed waist down, but he still had working hands, so he used them to his advantage. 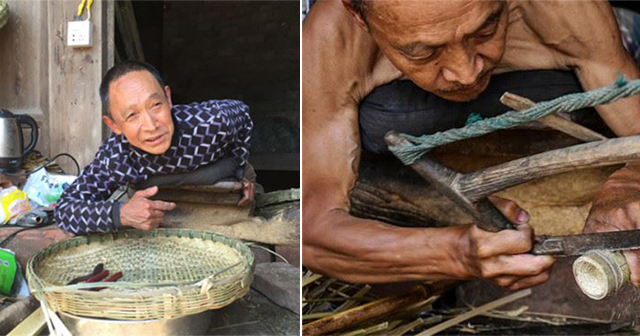 He was able to raise his daughter since he makes well-crafted baskets and were often sold out. 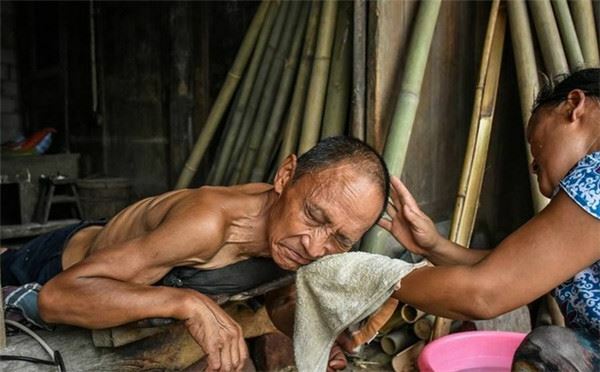 Lao is truly the best father as he strived to be a better father despite his condition. He is well respected by his daughter and grandson and possibly a million other people who now knows his story. No matter what challenges we face, just keep on moving forward.